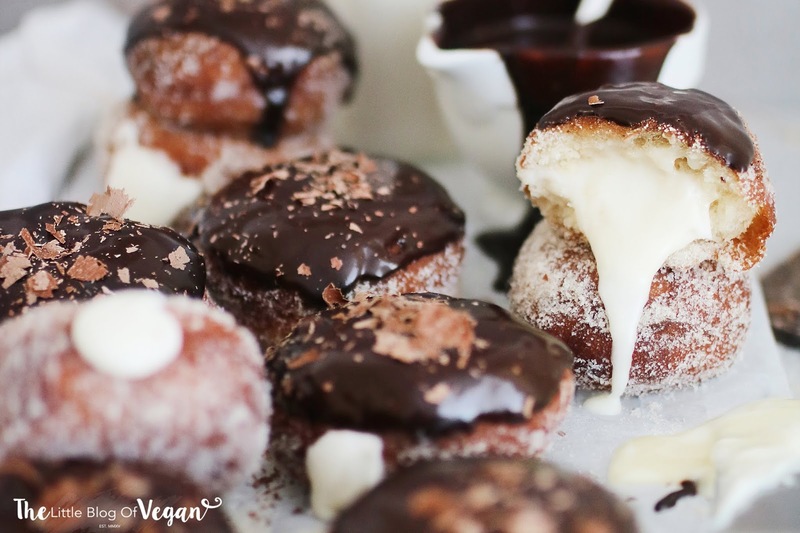 A deliciously light and fluffy doughnut, with a custard pudding filling, dipped in chocolate, topped off with dairy-free chocolate shavings. A devilish dessert, which is utterly irresistible. 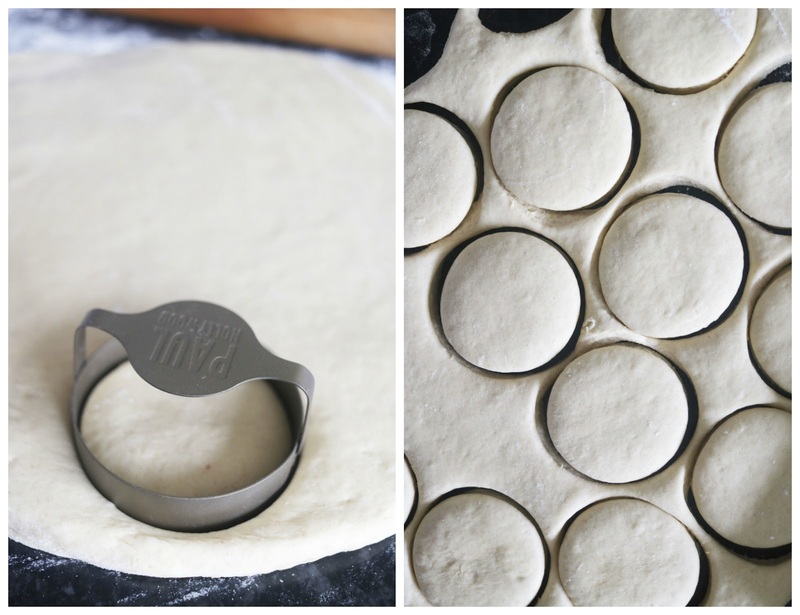 You can't beat a good ol' fashioned doughnut. These sweet treats are absolutely moorish and satisfying on your tastebuds. 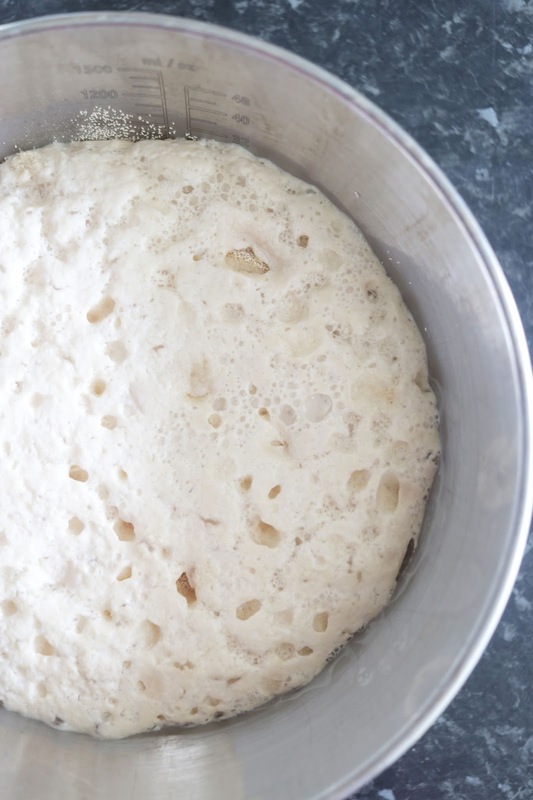 The light dough is perfectly fluffy and compliments the sweet custard pudding filling beautifully. I used the 'Alpro soya custard' as its quick & easy to use and makes for the most delicious flavoured pudding filling. 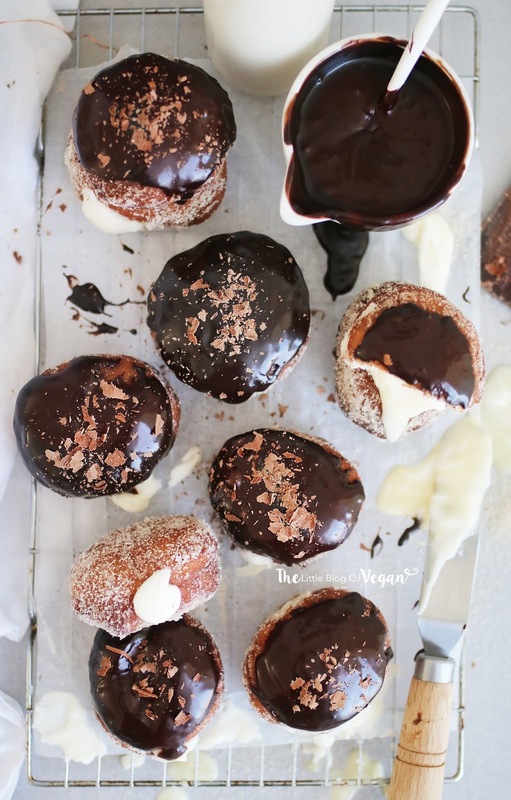 To make these Boston cream doughnuts as authentic as possible, I melted some dairy-free chocolate and dipped each doughnut into the chocolate for a glossy and rich topping. 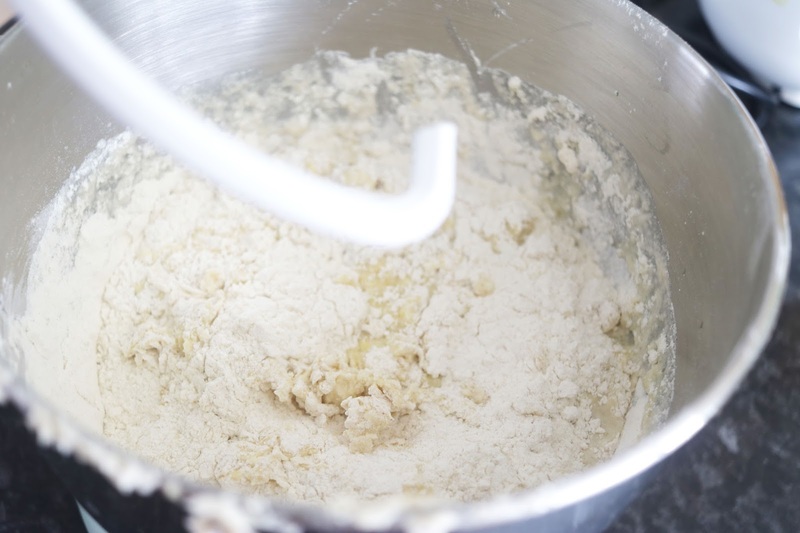 Step 1- Place the dairy-free milk, melted butter, icing sugar, vegan custard and corn starch in a bowl and mix until combined and smooth. 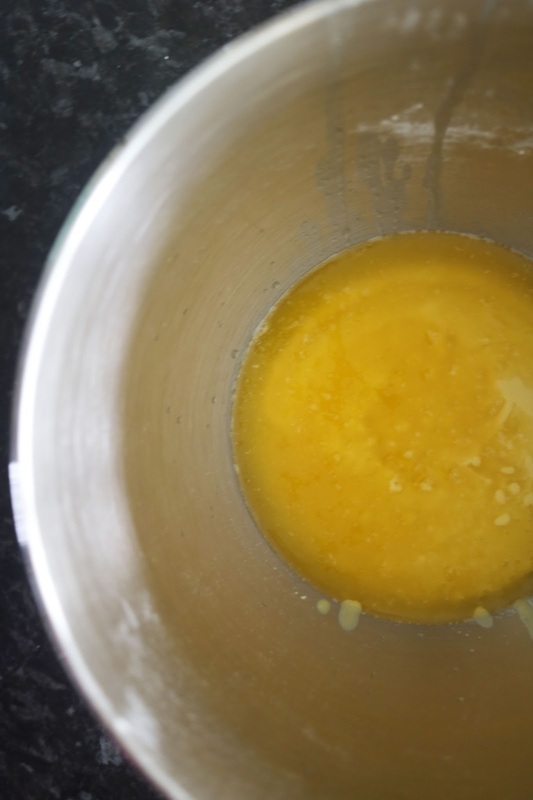 Step 1- Fill a small saucepan 3/4 full with water and place a heatproof bowl on top. 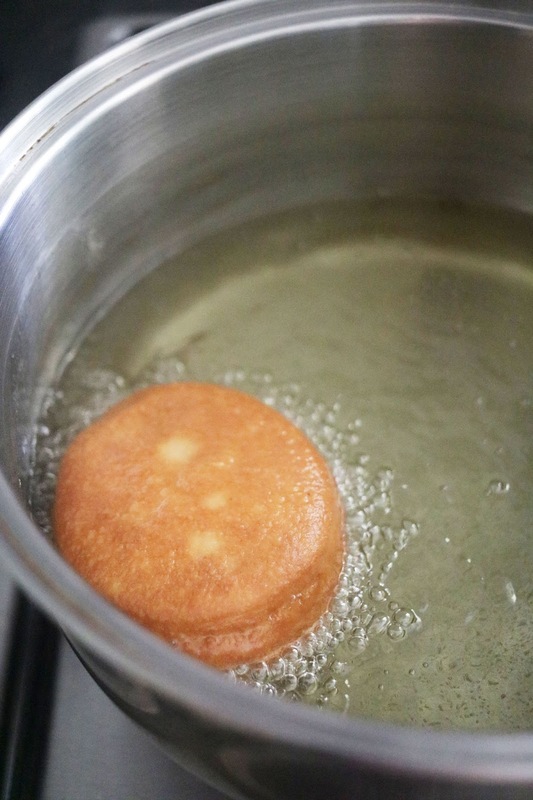 Step 2- Add in the chocolate and coconut oil, turn up the heat and slowly melt the chocolate. 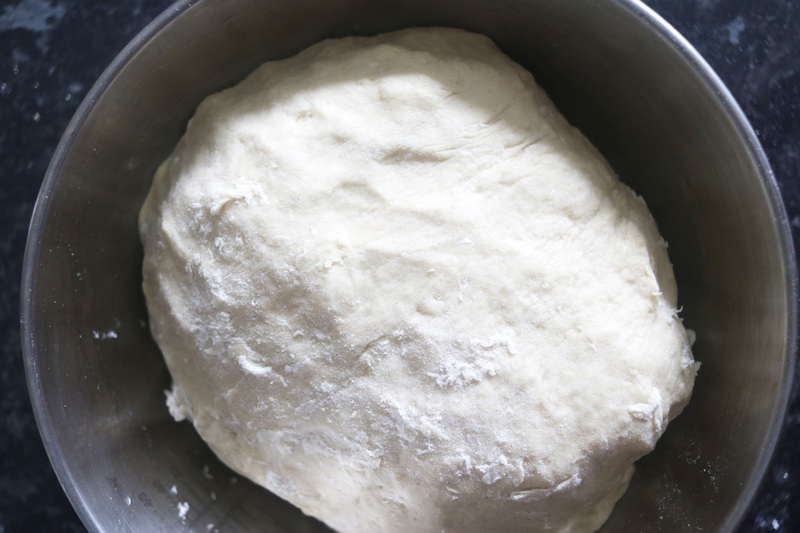 Step 3- Once melted, remove the bowl from the heat and allow to cool for 5-10 minutes. 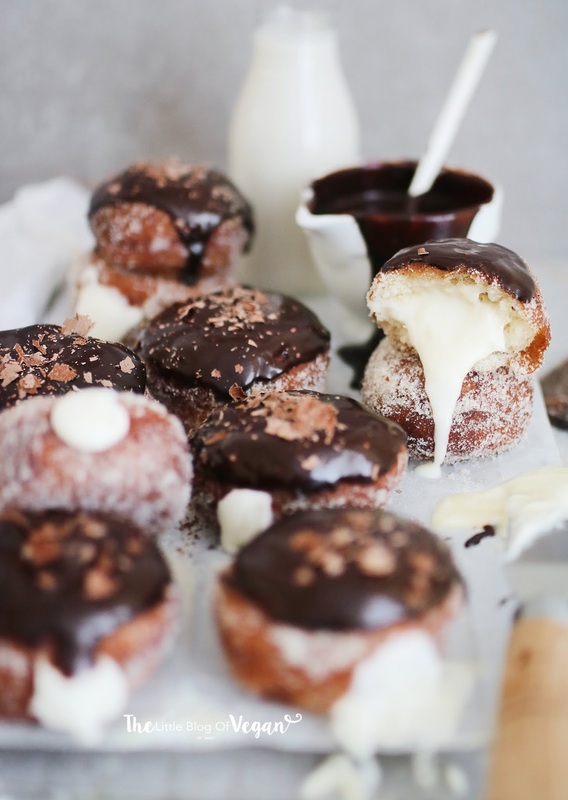 Step 4- When the chocolate has cooled slightly, dunk each doughnut into the chocolate. 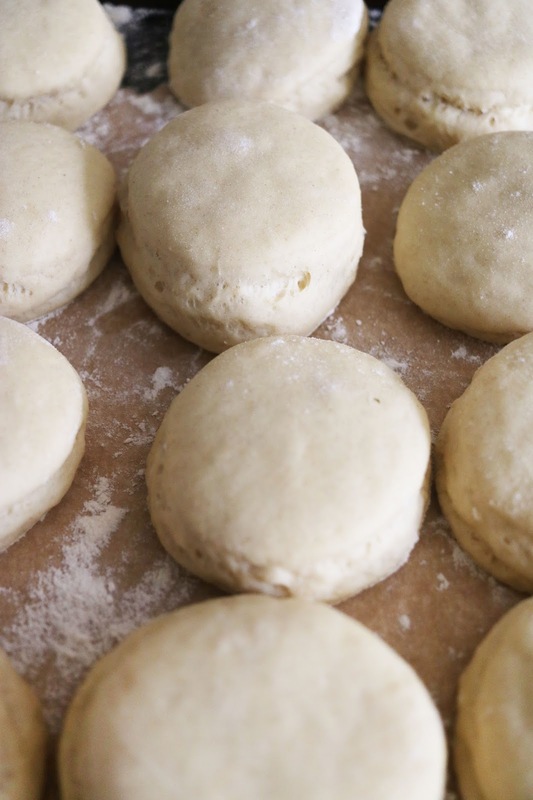 Place onto a baking rack. 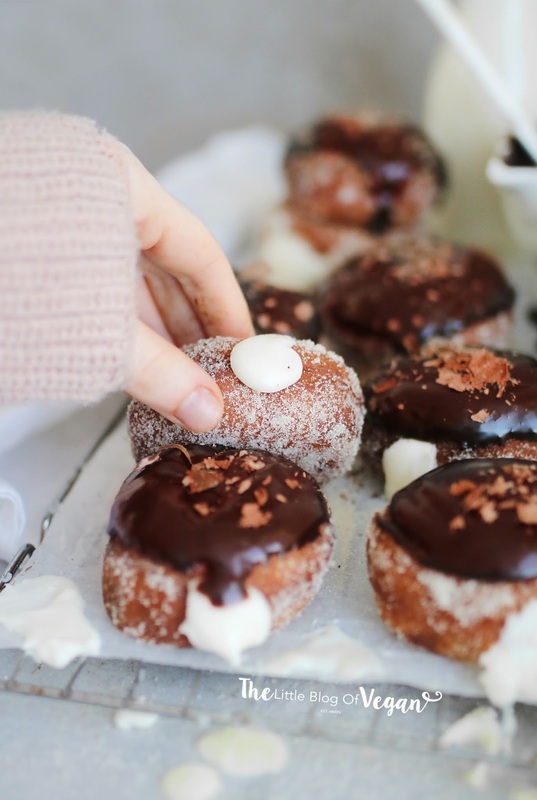 and repeat for all of the doughnuts. Serve fresh with some grated dairy-free chocolate (optional) and enjoy. Such a stunning idea! 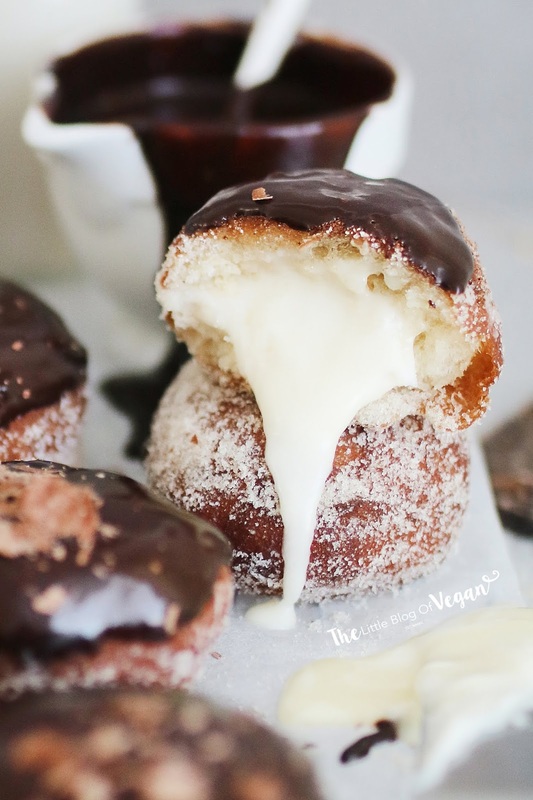 I love Boston cream pie and these doughnuts are a great variation!